Serious Potential: Join the Webfoot Team! Are you looking to build a seriously great career? Whether you’re a seasoned pro or are just starting to pursue your opportunities and options as a tradesman, the Webfoot team wants to talk with you. We’re growing, we’re busy, and we are looking for awesome people who are as passionate about painting, carpentry, and deck work as we are. We are taking painting and carpentry services to the next level. And, that doesn’t just mean in quality. 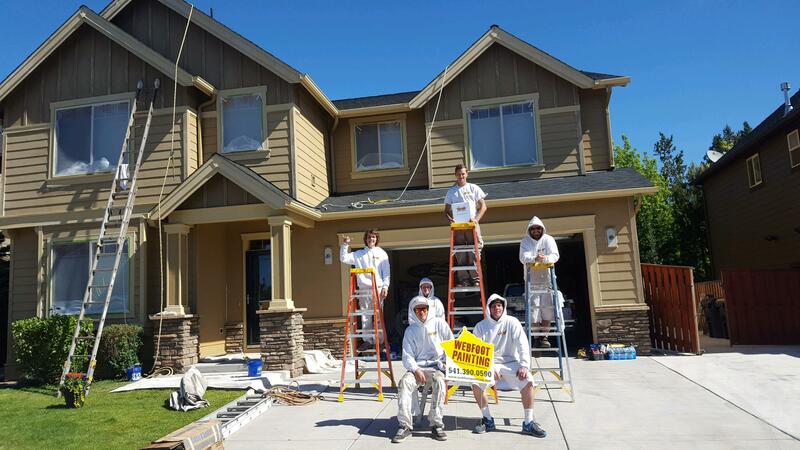 Our mission as a company is to invest in each other, give back to our community, grow to our full potential both corporately and individually, and do extraordinary things in our Bend, OR neighborhoods. Our reputation is solid and positive, our standards are high, and we have a whole lot of fun creating unparalleled service experiences for our clients. Does this sound like something you’d want to be a part of? For more information and details, be sure to visit our hiring page! Notice that we didn’t say that we need expert painters or incredible, dazzling resumes. We look first and foremost for those attributes that can’t be taught or learned; we can provide all the skills you need. In fact, we offer a unique “Painting Bootcamp” that will jumpstart the process, getting you rolling (and brushing!) in no time. So, what are you waiting for? Apply today, or contact us with your questions. We can’t wait to meet you.